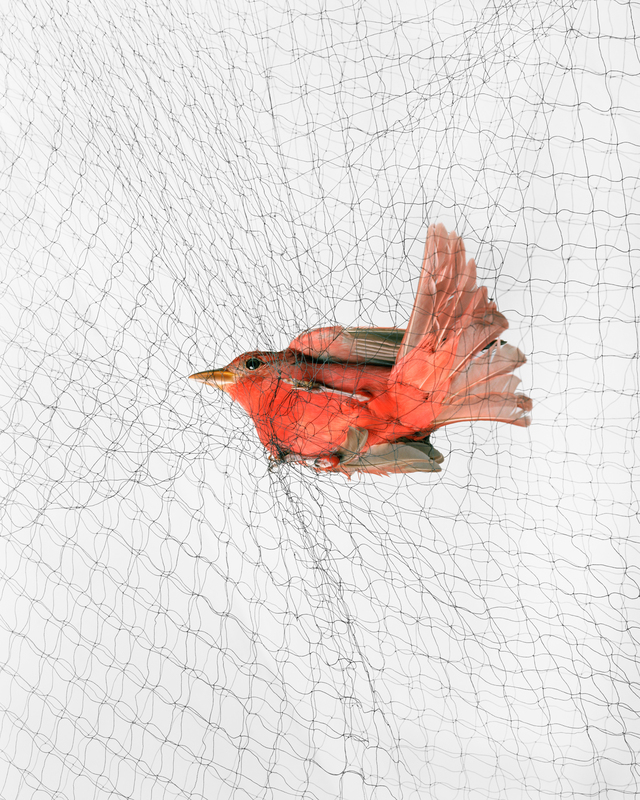 To capture images for his project, Ornithological Photographs, Todd Forsgren set up a rudimentary photo studio at various sites in the Western Hemisphere. 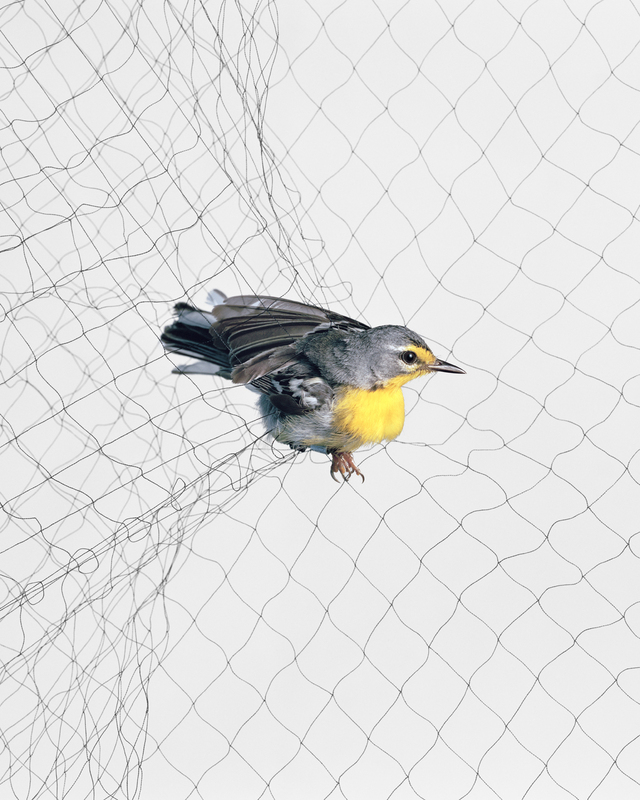 The stunning photographs show birds trapped in what are called mist nets, set up by the ornithologists he accompanied and whose goal is to trap, identify, measure, and band the birds—as a way to research and track species behavior, migration, and survival—before they were set free. “Most people gasp when they first see the images,” Forsgren says. 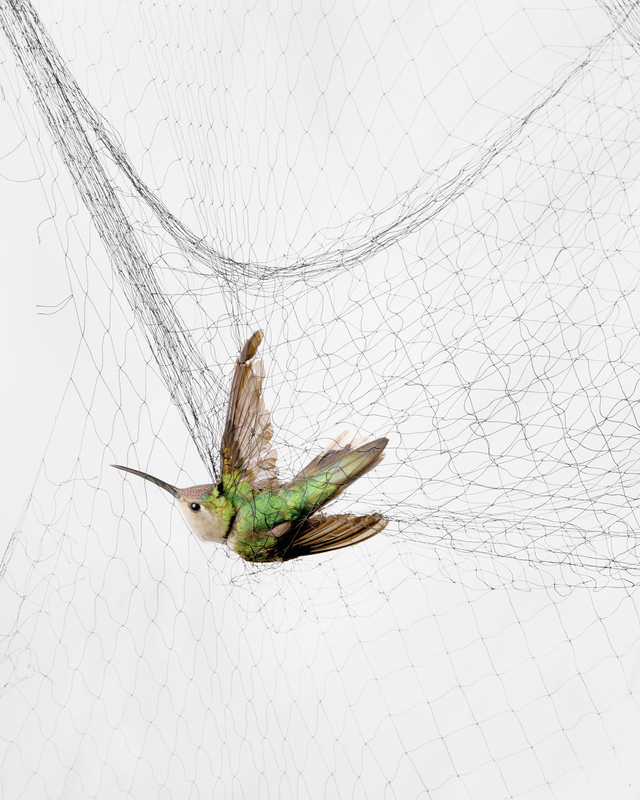 “They think it’s an environmental tragedy of some sort that I’m documenting… ” But the pictures, in fact, more subtle and complex than that as they summon up multiple references. The grids and clarity of focus impart a scientific look to the project. 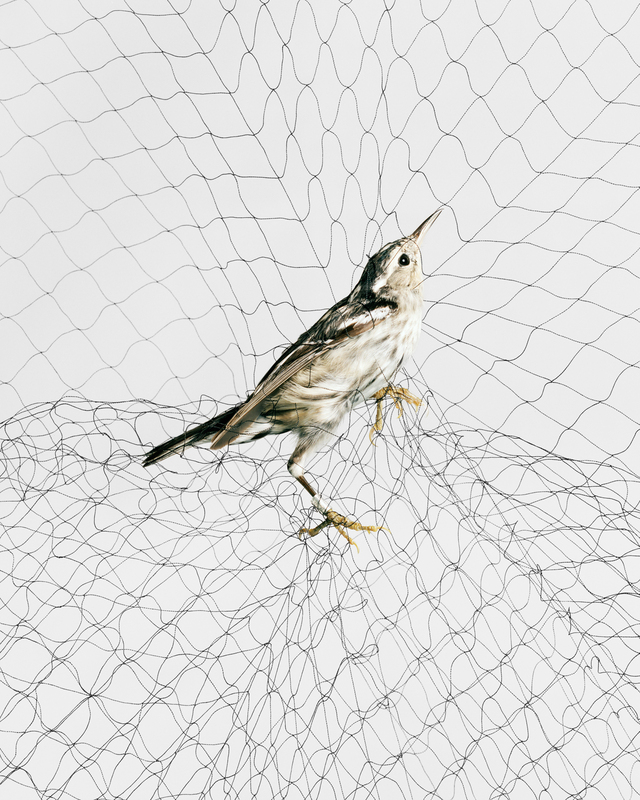 The subject matter and drama echo both James Audubon’s Birds of America (1827-1838), and later sequential images by Eadweard Muybridge’s and Étienne-Jules Marey. 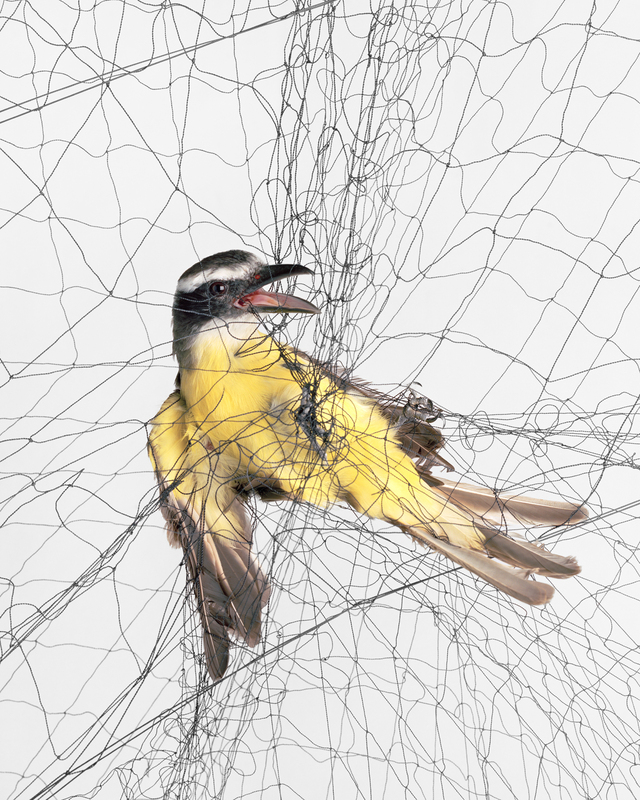 Ultimately, Forsgren’s work also calls into question the logistics and ethics of nature photography, the roles images play in environmental stewardship, and on a metaphoric level, the existential nature of freedom itself.